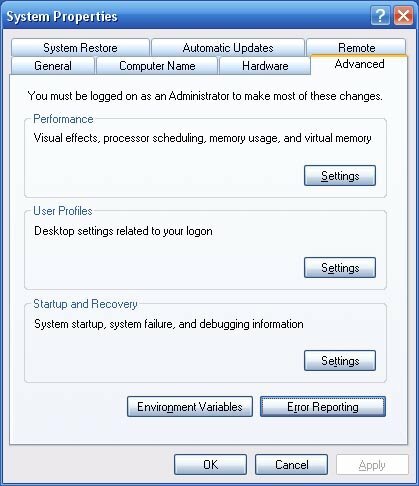 Windows XP Has a feature called error reporting where it brings up a window after a program crashes asking if you would like to report the error to Microsoft. This is meant to help Microsoft in fixing bugs, but I just find them annoying. Some other people are concerned for their privacy even though it does not send any personal data. Press Read More to see how to disable it! 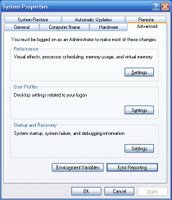 To disable error reporting, right click on my computer from the desktop or start menu and click properties. 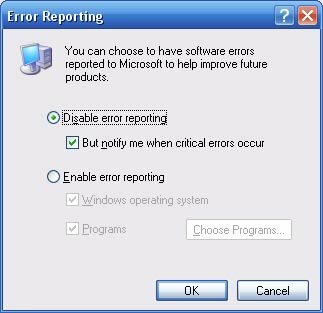 Then select the Advanced Tab and click Error Reporting. 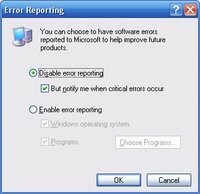 Press Disable error reporting and make the checkbox the way you want it. Press OK and OK again then you will be done.